We are surrounded by Gurus of every possible expertise, offering their enlightened opinion on everything we want to know about, but does it make our life easier? Can we trust the majority of Gurus’ opinions? Should we listen to them at all? Let’s try to understand some basic facts about Gurus and their teachings. 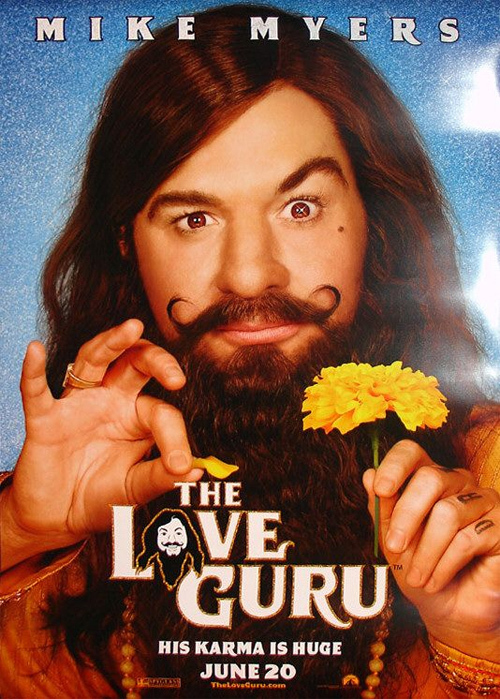 Who becomes a Guru? Someone who’s able to pass their message to large quantities of people. And as the mean intelligence of big crowds seems to be not on the right side of the curve by definition, Gurus talk simple. Budget cuts? Start sending people home. The market is growing? Invest. Oh, it suddenly crashed? Sell. The problem with reality is that it’s usually more sophisticated than such oversimplifications. Every time you try to establish a trend, it reverses; you try to create thumb rules – new technology comes and makes them irrelevant. Our obsession with “Keep-It-Simple, Stupid” principle tends to be forgetful of the fact that everything we achieved, we achieved through going over to more complicated things than before. This means that simplicity has no virtue by itself, but only when it uncovers some part of actual and not imagined reality. An actual Guru is someone who is supposed to know enough of his or her sphere of expertise to recognize its actual complexity. Experts provide guidelines, not slogans. What’s important to remember is the moment someone is recognized as a Guru by the market – he becomes its integral part, an agent of the system. And the main goal of any system after a certain moment in its development is to draw resources towards itself, which basically means that Gurus have no interest in any practical benefit their audience may get from listening to them. While people are pushing upwards, they constantly rely on the feedback from their environment: the successfulness of their products, the feasibility of their ideas, the acceptance of their management style. But after a certain level (e.g. achieving Guru status) you are less influenced by feedback from what you do and more by the need to retain the achieved status. And here the rules are completely different because you cross the domain border from Industrial Productivity to Human Relations. Gurus would frequently praise one another based on their personal sympathies and not on their actual belief in other’s abilities. Why do we need to raise someone to the level of Guru when there are so many competent people around us? Because we do not feel safe in the changing world around us and we want someone to tell us what to do to survive. But this someone has to be SOMEONE, a real person of authority, in order for us to feel that someone out there knows what he’s doing, so it couldn’t be that bad. Of course, Gurus understand this mechanism pretty well, and are ready to use and abuse our insecurities to push forward their supposed remedies. You want to have a competitive edge? Update your software to the latest version, or everyone around will think of you as backward. It doesn’t matter that you don’t have the resources to update your hardware as well to match the new requirements, just do what you can! When we try to follow such recommendations blindly, we let others control our preferences, and they have all the reasons to do it, while being pretty good at it. Because that’s how they became Gurus in the first place. We were nurtured to learn from success of others and to see successful people as our idols. However, success is rarely a result of following some clear-cut formula, because even if such formulas do exist – they cannot be similar in different spheres of expertise. Some Gurus became successful in a certain sphere exactly after they failed miserably in another. Does it teach us that you shouldn’t be discouraged by failure? Of course it does! Does it mean that we should trust every word of people who made it despite the failure? Certainly not, because it means that they could be wrong just like the rest of us. Our own circumstances may differ a lot from what people experienced before us for the simple reason that time passes and things evolve, you know 🙂 Those who try to behave by the old rules even after they’ve changed hardly have anything useful to teach us. There are many experts around us who are most competent and have a lot to teach us. But beware of those who are called (or even worse – call themselves) “Gurus”. They may not even notice it, but it’s hard for them to escape the behaviors I described once they are there. This entry was posted in Business Management, Business Process Improvement, Decision Making, Life without biases, Project Comminication Management, Project Management and tagged Bias, Business Management, Decision making, Expert, Functional Manager, Life without biases, Problem Solving, Project Manager by AnyaWorkSmart. Bookmark the permalink.